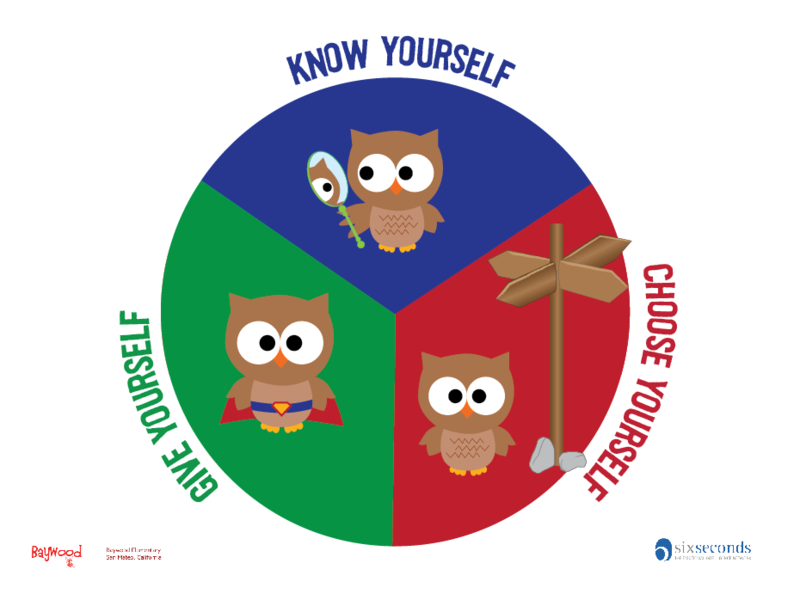 The Six Seconds Model of emotional intelligence shows three core areas - or pursuits - that allow people to live and lead with emotional intelligence: Know Yourself, Choose Yourself, and Give Yourself. There are eight fundamental competencies that facilitate the three core pursuits. Schools with SEL programs have a more positive school climate in terms of student behaviors, relationships with each other and to their learning process and a greater level of ownership and investment in their education (Durlack and Weissberg, 2005). What is Baywood’s plan to implement SEL? We have teamed up with 6Seconds, The Emotional Intelligence Network (www.6seconds.org), to survey our school to learn more about our school. The data gathered will help us to build upon our successes and uncover areas in the school that are interfering with school and student success. We will then be providing the teachers and administrators tools to use in the classroom to develop each area. SEL is an extension of our currently existing Lifeskills program. We realize that as a school community our Lifeskills program lays a positive foundation in the early years but that for later years, we need additional methods of helping our students learn the competencies listed above. SEL can be implemented in the classroom as individual lessons and integrated into every lesson teachers teach. We are very excited about our plan that will unfold over 3 years.